WNBA star Maya Moore announced Tuesday she will sit out the 2019 season. 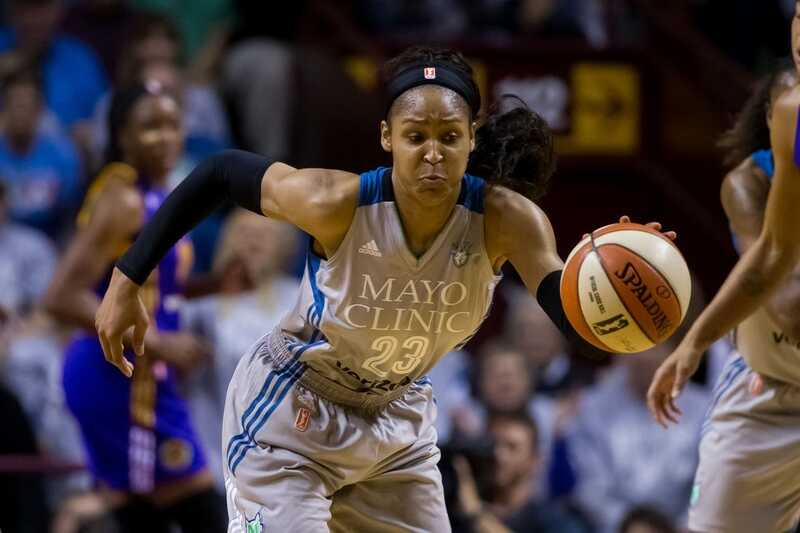 Moore, who plays for the Minnesota Lynx, said she has other personal goals she wants to achieve but couldn't with the rigors of playing the season. "The success that I've been a part of in basketball truly blows my mind every time I think about it. But the main way I measure success in life is something I don't often get to emphasize explicitly through pro ball," Moore said in an article she wrote for The Players Tribune. "I measure success by asking, ‘Am I living out my purpose?' I learned a long time ago that my purpose is to know Jesus and to make Him known." Moore said that instead of basketball, she will direct her attention to her faith and her family. "My focus in 2019 will not be on professional basketball, but will instead be on the people in my family, as well as on investing my time in some ministry dreams that have been stirring in my heart for many years," she wrote. "I will certainly miss the day-to-day relationships with my teammates and basketball family this season, but my 'no' for the 2019 pro season allows me to say 'yes' to my family and faith family like I never have before." Lynx general manager and coach Cheryl Reeve issued a statement of support Tuesday afternoon. "As she recently shared, Maya has expressed a need to shift her attention more fully to family and ministry dreams in a way that she has been unable to as a professional basketball player," Reeve said. "We support her in this exploration and will continue to provide her the love and care she has always known from her Lynx family." Moore, 29, is a free agent, but the Lynx slapped the franchise tag on her in mid-January, which would prevent her from hearing offers from other teams. The No. 1 overall pick in the WNBA draft in 2011, Moore has been a key contributor to a Lynx team that has played in six WNBA finals since then, winning four league championships. In her eight seasons in Minnesota, she has averaged 18.4 points, 5.9 rebounds and 3.3 assists per game. Moore was league Rookie of the Year in 2011, the league MVP in 2014 and the MVP of the 2013 finals. She is a five-time first-team All-WNBA selection. She won two NCAA championships at Connecticut and has been part of two Olympic teams to win gold medals.